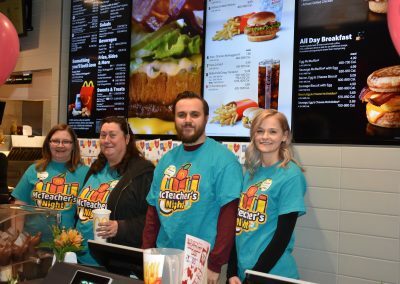 Four Westchester Christian teachers volunteered behind the counter on Tuesday, February 5th, at the Westchester McDonald’s located on 31st Street, where they served students and their families in a fundraiser for their school. 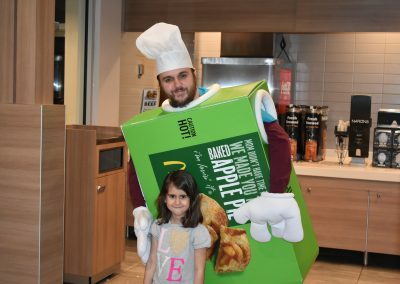 Brandon Siwula, the Principal, was at the event the entire night talking with the families and wearing the apple pie box costume. 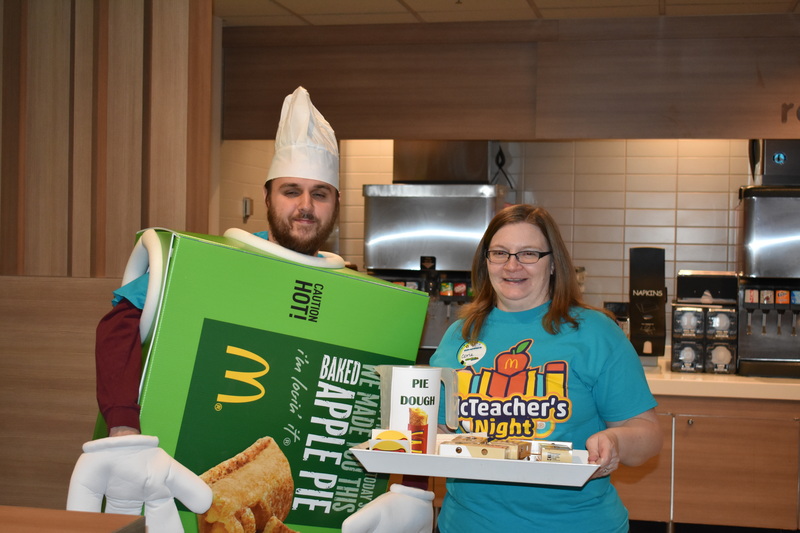 Teacher Corie Woodruff sold the pies during the night and did a fabulous job raising funds for Westchester Christian. 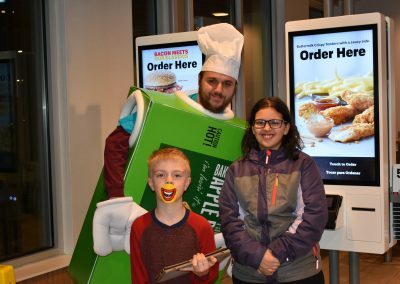 Teachers Karen Spaeth and Taylor Siwula worked at the front register and delivered orders. Corie Woodruff did an outstanding job working hard throughout the night and coordinating the entire event with McDonald’s. 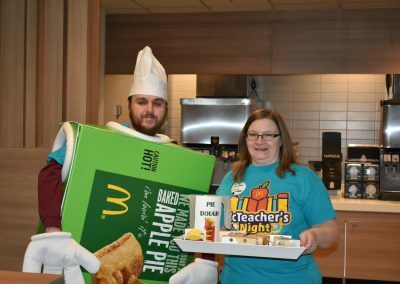 The proceeds from the sale of 60 pies went directly to benefit the students. 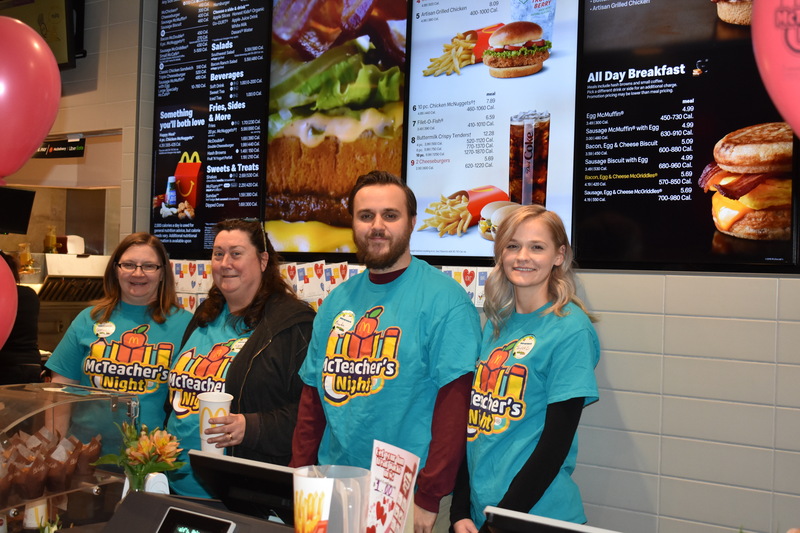 Twenty percent of the proceeds from the McTeacher’s Night sales were also donated directly to the school, which plans to use the money for special student activities and enrichment. The Westchester Christian community has an amazing network of support for their school, many families came out to support their school despite the icy weather that evening. 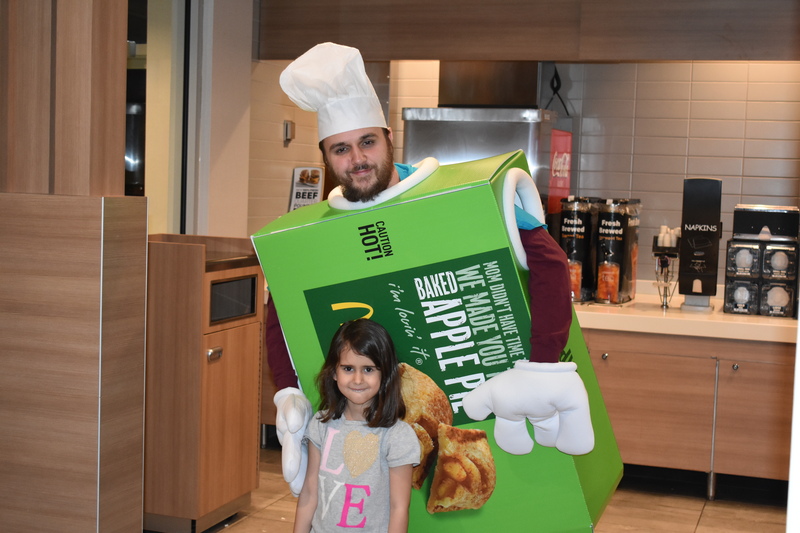 David Bear, Owner-Operator of the Westchester McDonald’s, was delighted to participate in the worthy cause for education and the community. “Principal Siwula and everyone else who rolled up their sleeves in support of this event is the fabric that strengthens our community,” Bear said. 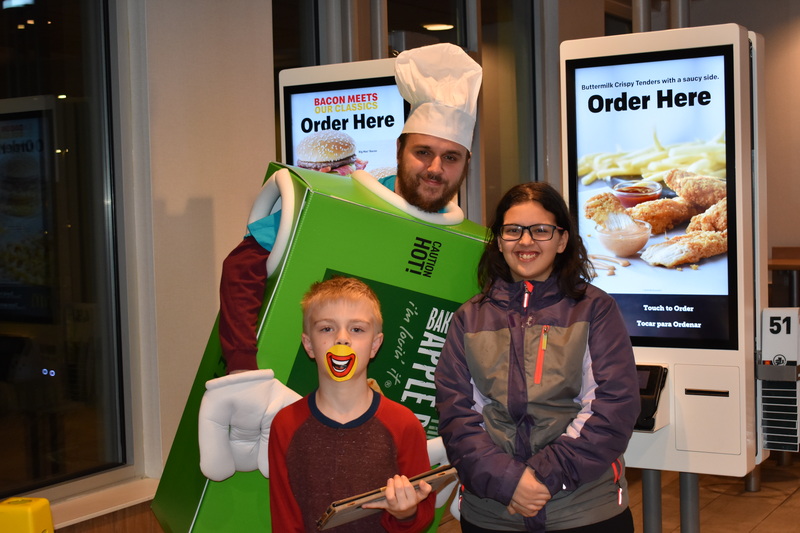 The Westchester Christian McTeacher’s Night was courtesy of the Bear Family Restaurants and McDonald’s Owner-Operator, David Bear. Like us on Facebook and visit our Website. 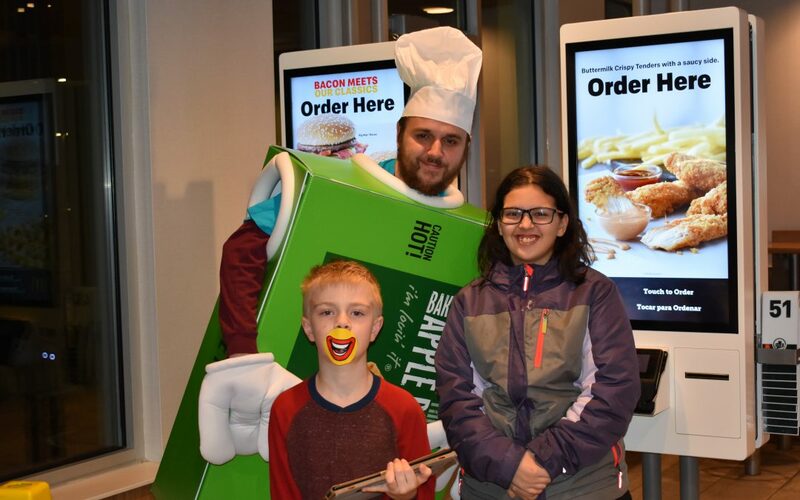 For more information about events provided by the Westchester McDonald’s, please contact Community Relations Director, Julie Travers at julie.travers@comcast.net.